Twelve-year-old Sarojini’s best friend, Amir, might not be her best friend any more. Ever since Amir moved out of the slum and started going to a posh private school, it seems like he and Sarojini have nothing in common. Then Sarojini finds out about the Right to Education, a law that might help her get a free seat at Amir’s school – or, better yet, convince him to come back to a new and improved version of the government school they went to together. As she struggles to keep her best friend, Sarojini gets help from some unexpected characters, including Deepti, a feisty classmate who lives at a construction site; Vimala Madam, a human rights lawyer who might also be an evil genius; and Mrs. Sarojini Naidu, a long-dead freedom fighter who becomes Sarojini’s secret pen pal. Told through letters to Mrs. Naidu, this is the story of how Sarojini learns to fight – for her friendship, her family, and her future. Funny, sensitively-told and easy to relate to, this novel is perfect for YA fans who want to see a strong, flawed, compassionate brown girl at the centre of the stories they read. 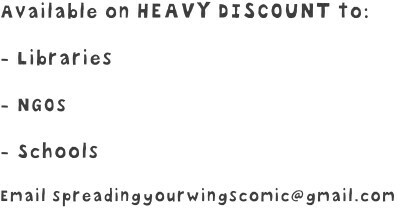 ISBN: 9789383074983. 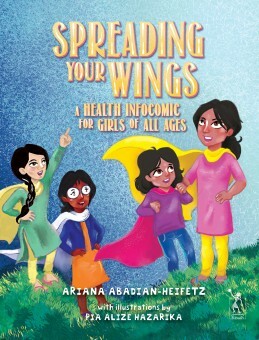 Categories: Chapter Books for Tweens, Feminism In India Recommends, Young Zubaan. 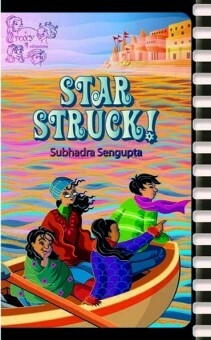 Tags: Ages 12+, Fiction, mathangi subramanian, right to education, school, south asia book award winner, young adult. In every class, there’s a kid who’s a little bit different, a little bit on the ‘slow’ side. 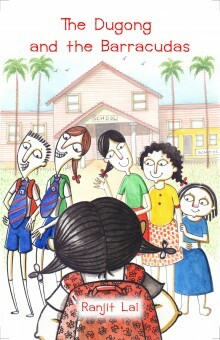 When she first sees Sushmita, with her sweet round face and innocent eyes, the principal of Rugged Rocks High is worried. “Putting that lovely child amongst our kids? It’s like putting adugong into a tank of barracudas.” And she’s right to worry! But Sushmita has other ways to fight back against bullies, and somehow, having her among them changes all the children’s lives – for the better. In The Dugong and the Barracudas, Ranjit Lal tackles the subject of prejudice, bullying and ‘special needs’ with his signature blend of humour and insight, challenging young readers to step out of their own skins and see the world through someone else’s eyes. Squiggle’s back - this time, in a fun-filled adventure that helps turn muddled sentences into ones that make sense! Squiggle’s stuck! She’s fallen into a dictionary and can’t escape. The only way out is to create a grammatically correct sentence and use it to jump off the page. She’s even got to rescue a very mixed-up character called Doodle Dude while helping him learn about verbs, nouns, prepositions and more such. Can you help them build a getaway sentence? This new adventure follows on from Natasha Sharma’s brilliant and highly acclaimed Squiggle Takes a Walk, the best way to figure out the world of punctuation. 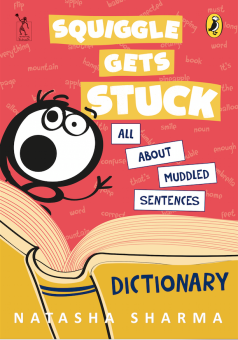 A great, fun book for teaching children about sentences in the English language! The essays in this volume focus on Nepal, which though not directly colonized, has not remained immune from the influence of colonialism in its neighbourhood. 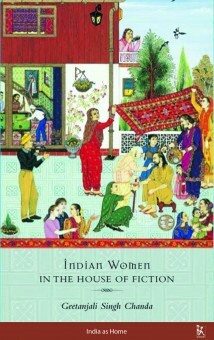 In addition to home-grown feudal patriarchal structures, the writers in this volume clearly demonstrate that it is the larger colonial and post-colonial context of the subcontinent that has enabled the structuring of inequalities and power relations in ways that today allow for widespread sexual violence and impunity in the country – through legal systems, medical regimes and social institutions. The period after the 1990 democratic movement, the subsequent political transformation in the aftermath of the Maoist insurgency and the writing of the new constitution, has seen an increase in public discussion about sexual violence. The State has brought in a slew of legislation and action plans to address this problem. And yet, impunity for perpetrators remains intact and justice elusive. What are the structures that enable such impunity? What can be done to radically transform these? How must States understand the search for justice for victims and survivors of sexual violence? The essays in this volume attempt to trace a history of sexual violence in Nepal, look at the responses of women’s groups and society at large, and suggest how this serious and wide-ranging problem may be addressed. 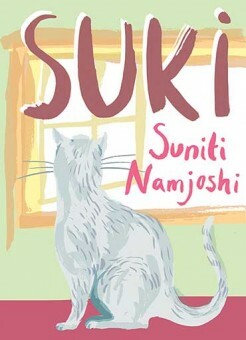 In Suki, fabulist Suniti Namjoshi weaves a delightful tapestry from threads of longing, loss, memory, metaphor, and contemplation. The whole picture is a stunning evocation of the love and friendship shared between S and her Super Cat, Suki, a lilac Burmese. Suki suggests that she could be a goddess, and S her high priestess. S declines, but as they discuss the merits of vegetarianism, or the meaning of happiness, or morality, or just daily life, it soon becomes clear that the bond between them is a deep and complex one. The days of Suki's life are figured as leaves, which fall vividly but irrevocably into time's stream and are recollected with a wild tenderness by the grieving S, who learns through the disciplines of meditation how to lose what is most loved. This beautiful narrative, both memoir and elegy, offers solace and celebration to everyone who has felt the trust that passes between a person and a beloved creature. In which an uncast ballot precipitates social embarrassment and recalls a past love, a young housewife finds her kitchen plagued by unabashed canoodling in the flat next door, an aspiring novelist tries to forget near-manslaughter, a schoolgirl discovers the travails of depilation, and, in a locked room, two medieval noblewomen recount the amorous avowals of a young soldier. 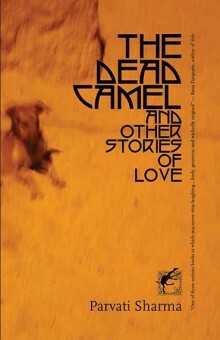 There’s also the small matter of a dead camel lying unattended on the streets of Delhi. These twelve stories explore the unsaid, the unfinished and the misunderstood, the shocks and nuances of love and sexuality, responsibility and ambition, and our tentative attempts to peel away the layers of stories that make up our lives. Join the animals of Janwar Dosti — Tunnu the tiger, Zero the giraffe, Lucky the rabbit and all their jungle friends — on a magical historical journey through Delhi. Explore its many wonderful monuments, and discover new places to see and things to do. 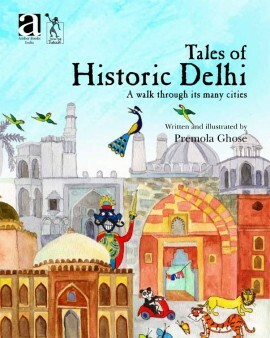 Tales of Historic Delhi is the perfect guidebook for families visiting the city, and a whole new way to bring history alive. Come and take a walk back through time with the animals and birds to discover historic Delhi! In this essay, Geetanjali Singh Chanda explores the idea of the nation, and its representation as a house or home in postcolonial Indian English literature. The author identifies that this literature has a dual parentage that manifests in its narratives, where characters with fragmented identities negotiate to make India their home. Chanda explores this depiction of ‘Indianness’ through three prominent literary works: Nayantara Sahgal’s Rich Like Us (1983), Meena Alexander’s Nampally Road (1991), and Arundhati Roy’s The God of Small Things (1997). She focuses on the treatment of history within these narratives, and the struggle of characters to reconcile their personal or national history with the post-colonial present. This is done by connecting the events in the text to a significant historical event—like the Indian Independence in 1947, or the Emergency of 1975, which becomes the setting of both Rich Like Us and Nampally Road. 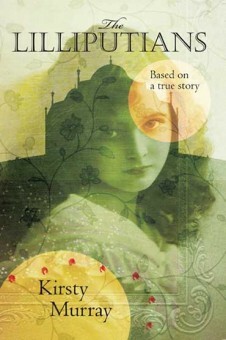 While an exhaustive study of the novels’ characters and storyline shows differences in their narratives and the authors’ perspectives, Chanda identifies common themes of disillusionment, belonging, and a complicated relationship with a house, which in each narrative becomes symbolic of the characters’ relationship with the nation. Women in particular seem to have tenuous relationships with the house, often being marginalized in the idea of the nation. But their relationships with each other seem to transcend national and ethnic identities, and help them navigate through the nation. Chanda focuses on these relationships in particular, associating the motherland with the biological mother. The constructed “naturalness” of a world made up of two sexes, two genders, and heterosexual desire as the only legitimate desire has been continuously questioned and challenged by those marginalised by these norms. This forces us to ask some important questions: How is gender really understood and constructed in the world that we inhabit? How does it operate through the various socio-political-cultural structures around us? And, most crucially, how is it lived? 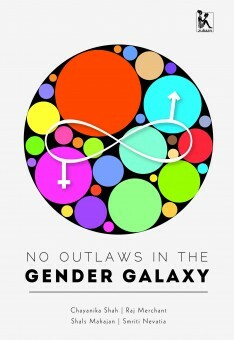 No Outlaws in the Gender Galaxy answers these questions with a research study that attempts to understand gender through the lives of queer persons assigned gender female at birth. The lived realities of the respondents, echoing in the book through their voices, help to interrogate gender as well as provide clues to how it can be envisioned or revisioned to be egalitarian. This book explores how gender plays out in public and private institutions like the family, educational institutions, work and public spaces. Looking at each of these independently, it elaborates the specific ways in which binary gender norms are woven into each arena and it also explores the multiple ways in which interlocking systems of heteronormativity, casteism, class and ableism are enmeshed within patriarchy to create exclusion, marginalisation, pathologisation and violence. 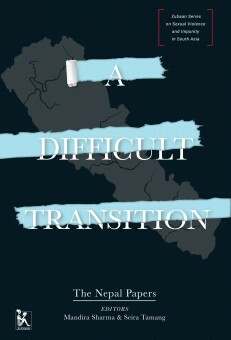 This book illustrates the multiplicity of ways in which people live gender and testifies that even if there are gender laws, in a just world there can be no gender outlaws. 101 Indian Children's Books We Love! 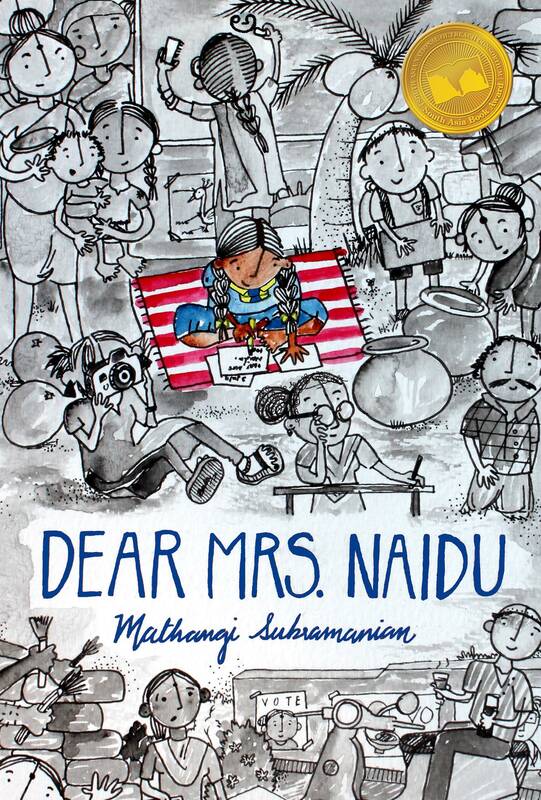 An essential guide to the best Indian children's books available in the market. An invaluable guide to some of the very best Indian children's books in English. From beloved classics to the latest publications, this book is a must-have one-stop shop for teachers, parents, kids, librarians, bookstores and indeed anyone interested in children's books. Conveniently divided according to age-groups from 0 to 15, the books have been reviewed by a range of readers, children as well as adults, who simply love that book and want to share their enthusiasm with others. 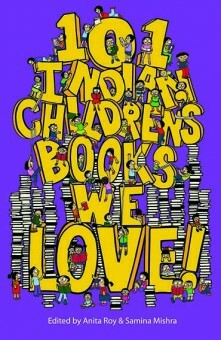 In a list that has been extensively and collaboratively compiled by some of the leading experts, publishers, writers, booksellers and teachers in the country, 101 Indian Children's Books We Love, is sure to be a classic. 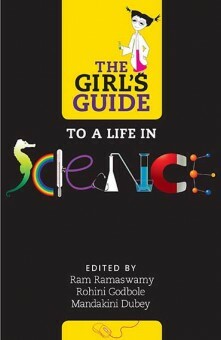 The guide is supplemented by essays by leading Indian language experts on children's literature in Hindi, Bengali, Marathi and Malayalam, an essay on bilingual books by Radhika Menon of Tulika, extended entries on key figures such as Ruskin Bond, Satyajit Ray and Jim Corbett, and on the importance of early learning by leading UK book consultant Wendy Cooling. A comprehensive guide for people looking for rounded and inclusive feminist books for children, by Zubaan's very own Anita Roy. Kohima, 2007. A young man has been gunned down in cold blood - the latest casualty in the conflict that has scarred the landscape and brutalised the people of Nagaland. Easterine Kire's new novel traces the story of one man's life, from 1937 to the present day. The small incidents of Mose's childhood, his family, the routines and rituals of traditional village life paint an evocative picture of a peaceful way of life, now long-vanished. The coming of a radio into Mose's family?s house marks the beginning of the changes that would connect them to the wider world. They learn of partition, independence, a land called America. Growing up, Mose and his friends become involved in the Naga struggle for Independence, and they are caught in a maelstrom of violence - protest and repression, attacks and reprisals- that ends up ripping communities apart. The herb, bitter wormwood, was traditionally believed to keep bad spirits away. For the Nagas, facing violent struggle all around, it becomes a powerful talisman: "We sure could do with some of that old magic now." Bitter Wormwood gives a poignant insight into the human cost behind the political headlines from one of India's most beautiful and misunderstood regions. The final installment of Payal Dhar's thrilling Shadow in Eternity trilogy. Maya Subramaniam's life is far more complex than that of an average fourteen-year-old. The youngest Halvard of the Sands of Time, torn between loyalty to her family and to her Watcher, and dogged by a prophcy that predicts her to be the cause of the destruction of time itself... honestly, how much can one person take? An adolescent caught up in a world of grown-ups, Maya finds herself in the middle of a Warrior conspiracy to see the Ai'diyar Prophecy to its conclusion. Homeless and confused, convinced that she wrecks the lives of those she loves, Maya finds herself doubting her ability to see right from wrong. As she and her friends stumble into the Timeless Land, she is faced with a choice that could have a devastating impact on reality as we know it. The third book in Payal Dhar's acclaimed fantasy series, A Shadow in Eternity. Readers of sweeping, epic fantasy fiction would enjoy this series. 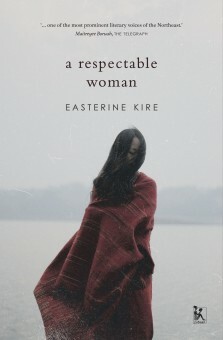 These powerful words introduce the reader to Easterine Kire’s stunning new novel, A Respectable Woman. In Nagaland, the decisive Battle of Kohima has been fought and won by the Allies, and people in and around Kohima are trying hard to come to terms with the devastation, the loss of home and property, and the deaths of their loved ones. Forty years after the event, Khonuo recreates this moment, stitching together her memories, bit by painful bit, for her young daughter. As memory passes from mother to daughter, the narrative glides seamlessly into the present, a moment in which Nagaland, much transformed, confronts different realities and challenges. Using storytelling traditions so typical of her region, Kire leads the reader gently into a world where history and memory meld — where, through this blurring, a young woman comes to understand the legacy of her parents and her land. 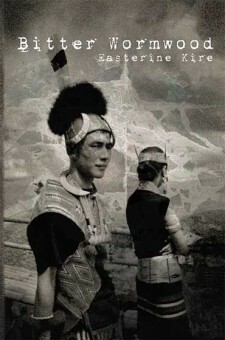 EASTERINE KIRE is a writer, poet and translator. She is Nagaland’s first novelist in the English language. Her book, When the River Sleeps (Zubaan, 2014), won the 2015 Hindu Prize for Fiction. She is also the author of A Naga Village Remembered (2003), A Terrible Matriarchy (Zubaan, 2007), Mari (2010), Life on Hold (2011), Bitter Wormwood (Zubaan, 2011), the Sahitya Akademi-honoured Son of the Thundercloud (2016), Don’t Run, My Love (2017), and The Rain-Maiden and the Bear-Man (forthcoming 2019). She lives in Norway. Hansa Wadkar (born Ratan Bhalchandra) was one of Maharashtra's best known stage and screen personalities. By the time she was married to a much older family friend and impressario when she was just 15 she had already starred in nine or ten movies and was becoming a name in the film world. Supporting her family on her earnings, her brother sick with malaria, and both parents having taken to drink, life was not easy for the young woman. But Hansa was not only beautiful and immensely talented, she was tough, willful, capricious and headstrong. 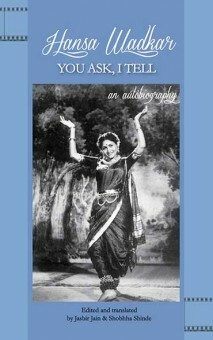 Her autobiography, published in 1970, created a sensation for its frankness and directness. It was later made into a film, Bhumika, by the well-known director Shyam Benegal and starred Smita Patil in the title role. This volume, the second on India, addresses the question of state impunity, suggesting that on the issue of the violation of human and civil rights, and particularly in relation to the question of sexual violence, the state has been an active and collusive partner in creating states of exception, where its own laws can be suspended and the rights of its citizens violated. 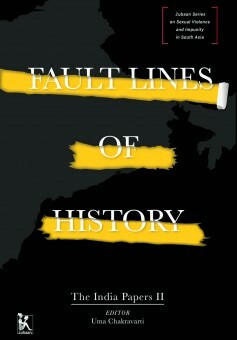 Drawing on patterns of sexual violence in Kashmir, the Northeast of India, Chhattisgarh, Haryana and Rajasthan, the essays together focus on the long histories of militarization and regions of conflict, as well as the ‘normalized’ histories of caste violence which are rendered invisible because it is convenient to pretend they do not exist. Even as the writers note how heavily the odds are stacked against the victims and survivors of sexual violence, they turn their attention to recent histories of popular protest that have enabled speech. They stress that while this is both crucial and important, it is also necessary to note the absence of sufficient attention to the range of locations where sexual violence is endemic and often ignored. Resistance, speech, the breaking of silence, the surfacing of memory: these, as the writers powerfully argue, are the new weapons in the fight to destroy impunity and hold accountable the perpetrators of sexual violence. The Foxy Four are BACK! Mandy, Padma, Jahan and Charu - along with Razia, the 'Aunt who Rocks' - are on their way to India's holiest city, Varanasi, to take part in a national quiz. But when a rare idol of a goddess is stolen from a temple nearby, they soon discover that there's more to puzzle out than quiz questions. And when a film crew rolls into town, the girls become entangled in a plot straight out of Bollywood. Their quest takes them through the narrow lanes and beautiful ghats of an ancient city, encountering astrologers and godmen, heroines and reporters... and a rather charming young priest. Can the intrepid four outwit a bunch of clever criminals? Will Mandy ever become a film star? Will Jahan really have to change her name? Can the girls save the goddess before she is smuggled out of the country? Find out in STAR STRUCK - the second 'Foxy Four' adventure! Perfect for young readers that enjoyed The Baby-Sitters Club series by Ann M. Martin and Nancy Drew books. Inspiring, informative, insightful? meet some of India's most celebrated female scientists. What led them to choose their particular field? Who encouraged them? What were their struggles? What are their sources of inspiration? What are the key questions at the cutting edge of modern research? Why choose a life in science at all? From astrophysics to zoology, learn what it takes to make a career in science. 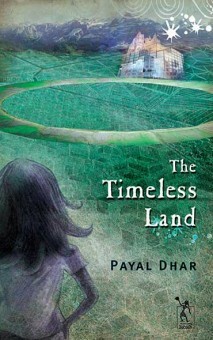 The thrilling sequel to Payal Dhar's A Shadow in Eternity. It's MADRAS in 1910. Poesy and Tilly are caught in a scandal that will change their lives forever. Singing and dancing across a hundred stages as members of a troupe of Australian child performers, called The Lilliputians, they travel by steam train into the heart of India. But as one disaster follows another, money runs short and tempers fray. What must the girls do to protect themselves and how many lives will be ruined if they try to break free? Based on a real historical incident, award-winning writer Kirsty Murray tells a tale of intrigue and skullduggery, of friendships made and betrayed, set against the heat and dust of a lost Empire. Winner of NSW Premier’s History Award, and The Young People’s History Prize 2011, this book tells a thrillingly adventurous story of Australian child circus performers who travel to India in search of fame. Readers who enjoyed Erin Morgenstern's The Night Circus and Philip Pullman's Sally Lockhart quartet might enjoy this title! 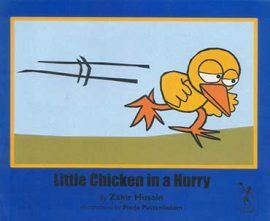 A little chicken is in a hurry! Choozu Mian is a special little chicken — or so he thinks! As he hurries off to the King's Palace, he meets Fire, Wind and Water, each of whom is in trouble. But he's in too much of a rush to stop and help them. But when he's in the soup, will anyone come to his rescue? The Magic Key is a series of illustrated folktales retold by India's third President, Dr Zakir Hussain. 'For all children,' he wrote, 'the first books they read are the key to the magic of the world.' Translated into English by the author's great-granddaughter Samina Mishra, these books will delight anyone learning to read for the first time, and are perfect for parents and teachers to read aloud.